Raise your hand if you remember what it was like navigating on road trips in the pre-smartphone, pre-GPS era. Before you set out from your house, you had to find your destination on a roadmap, and chart a course that could, if the destination was far enough afield, involve multiple intersecting highways or interstates. If you were driving alone, checking your map could be hazardous during driving, meaning that you had to memorize most of the turns, even if they were on unfamiliar roads. If you needed to fill up on gas, finding out the location of the next gas station would be a matter of waiting for signs on the highway to appear and alert you to the exit number of the next rest stop. Once you left the highway, you had to navigate by street signs until you reached your destination. If, at any point, a road you intended to use was closed, you would be back to the drawing board. Nowadays, the idea of putting this much mental and physical effort into getting yourself from Point A to Point B seems absurd—you can just pull up Google Maps on your phone and let voice navigation guide you to your ultimate destination. When it comes to moving goods from Point A to Point B, on the other hand, many are still doing it the old fashioned way. The rise of Logistics 4.0, however, promises to change that fact, and alleviate numerous transport logistics pain points, from planning silos to low visibility, in the same way that a GPS-enabled smartphone alleviates the pain points of pen-and-ink highway navigation. One of the cornerstones of Logistics 4.0 is the introduction of new information into the value stream as result of data being gathered from RFID chips and internet of things (IoT) devices in pallets, trucks, and containers. This is combined with up-to-the-minute demand and pricing information in such a way as to give transport planners complete insight into their shipping and freight forwarding options as they unfold. In other words, this new wealth of data from various sources helps businesses to get closer than ever to E2E (end-to-end) visibility. Where traditional logistics workflows depended on past information that was often stuck within silos, thus often suffering from misalignments between expectations and reality when it came to things like fuel pricing or route planning, Logistics 4.0 systems help planners escape the reactive cycles of planning based on out-of-date information. This way, businesses can avoid the late deliveries or parts shortages that result from over or underestimating demand as well as the potential to overpay for fuel or capacity due to outdated information. While the IT requirements for affecting such a high degree of visibility can be stringent, E2E visibility ultimately underpins each of the benefits on this list by producing and making available the sort of high-quality, mission critical data upon which efficient transport operations depend. This benefit can be considered somewhat of a corollary to the first, but in many ways it's just as important. We alluded to the value of up-to-the-minute transport information above, but the closer you drive to full E2E visibility the better you're able to introduce real-time data into your value chain. This essentially doubles down on the value of high rates of visibility, ensuring that planners are never stuck using of out-of-date information and are able to monitor their plans as they unfold. In this way, shippers and freight forwarders can identify and respond to disruptions (like, say, inclement weather or fuel price increases) in the most agile and responsive way possible. In the manual vs. smartphone navigation example above, you may have noticed that while navigating by maps and road signs involved a number of discrete steps, the smartphone workflow really only required you to turn on the phone and give it your destination. This isn’t a result of a reduction in the amount of information required or the degree of planning needed to successfully arrive at a given destination; rather, the smartphone’s one-step navigation process reflects the fact that all of these discrete steps are, in fact, parts of the same interconnected whole. In its way, Logistics 4.0 offers something similar: as you perform strategic, operational, and tactical planning tasks, you can visualize the effects of each hypothetical planning action on your entire supply stream as well as your other planning functions. Much the way that Google maps recalculates when you deviate from the prescribed path, and shows you alternate routes with the relevant differences in ETA, Logistics 4.0 systems adapt to each new piece of information, showing you the effects of any planned changes to your routes, network structure, or hub usage. Not only does this have the effect of removing guesswork from your planning processes, it also helps to remove silos between different planning levels (strategic, operational, and tactical) by making obvious the implications that each one has for the others. While the earlier benefits on this list are a little bit abstract, this one is extremely concrete. Thanks in part to real-time traffic and weather information that is automatically imported to planning environments, Logistics 4.0 systems make it easy for shippers and freight forwarders to utilize the most efficient possible route and tour configurations, even giving them the ability to add new stops or extra pickup and drop-off points on the fly and recalculate based on new information. Where in previous eras planners often struggled with a lack of insight into how changes in, say, truck routes or hub organization could affect their outcomes, Logistics 4.0 offers new degrees of certainty when choosing the optimal path, and thus a greater percentage of on-time deliveries and a reduction in fuel costs. So far on this list we’ve mostly discussed benefits that allow shippers and freight forwarders to carry out key tasks in a more efficient or optimal way. This final benefit has a slightly different focus: your customers. While process and planning improvements like tour optimization and real-time planning can have a fairly direct impact on the quality of logistics providers’ services, that doesn’t mean much if they’re not meeting customer needs in a direct way. 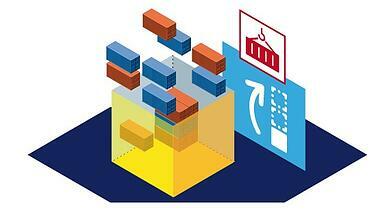 Luckily, one of the most important facets of Logistics 4.0 is its ability to integrate with Industry 4.0 systems. Because the two are underpinned by the same technological principles (connectivity, machine-to-machine communication, etc. ), they are natural fits when it comes to sharing critical information across organization and streamlining collaborative workflows in a synergistic way. This means that shippers and freight forwarders who utilize Logistics 4.0 technologies will have an easier time attracting and retaining clients that adopt Industry 4.0 frameworks. Given that Industry 4.0 is rapidly gaining adoption across the industrial sector, Logistics 4.0’s ability to provide value to smart factory-enabled organizations will only grow more and more valuable over time. When that happens, each of these benefits will grow more pronounced, and more crucial to the task of staying competitive in the logistics field.